Epson are delighted to announce the Perfection V800 Photo which provides professional quality results from virtually any photographic original. 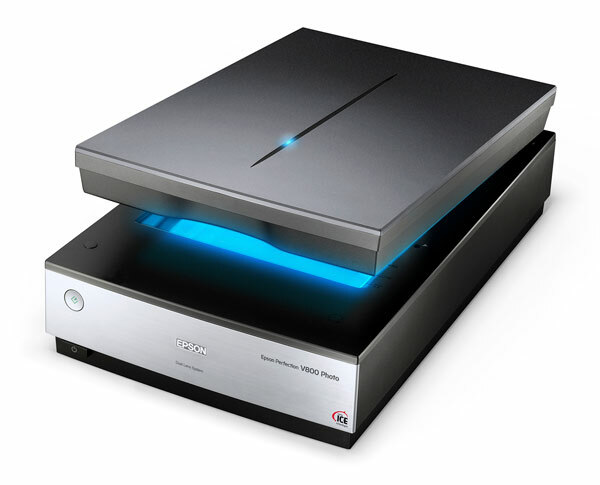 Providing up to 6,400 dpi resolution, this powerful scanner consistently delivers precision colour and detail, whether scanning slides, negatives or medium–format film. Including 4.0 Dmax optical resolution, it offers exceptional image quality, excellent detail in shadow areas and remarkable tonal range. 48–bit colour and 16–bit grayscale provide subtle shades and accurate colour reproduction for everything from professional slides to simple business documents. The V800 Photo also offers a host of powerful tools for photo restoration. Digital ICE™ technologies is a unique combination of hardware and software for correcting image defects. Digital ICE for Film uses an infrared sensor to detect dust and scratches on the surface of the film. In a multi–pass process, the dust/scratch is mapped out and carefully removed from the scanned image, leaving the composition and quality intact. Digital ICE for Prints removes the appearance of many types of surface defects from prints, minimizing costly retouching.